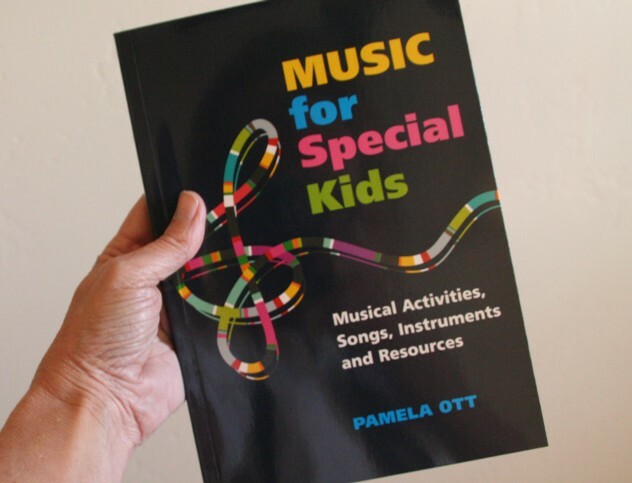 Music for Special Kids - Now Available! 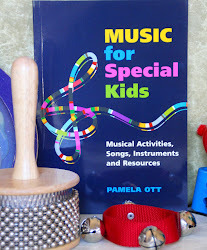 I am SO excited to announce that after 9 months of writing, editing and waiting, my book Music for Special Kids has been released and is now available for purchase through Jessica Kingsley Publishers! I'm very happy with how it turned out and hope that it will be a terrific resource for many parents, teachers, caregivers and music therapists! The 192 page book contains tons of songs, musical activities, instrument activities and resources to augment your use of music with children in the classroom, in therapy or at home. Over the next few days, I'll highlight some of the chapters of the book and what you'll find inside. The first chapter is entitled "Singing" and includes Hello Songs, Omitting Words or Sounds in a Song, Replacing Words With Syllables in Familiar Songs, Nonsense Songs, Call and Response Songs, Songs to Teach Academic Concepts, Adapting Familiar songs, Sing and Read Books and Song Cards. I usually don't break out this song until the week before Easter, because it tends to be a real favorite of my kids and they want to play it over and over and over! I find it's a good song to use to encourage participation and interaction and depending on the presentation, it's a good one to use to encourage taking turns! 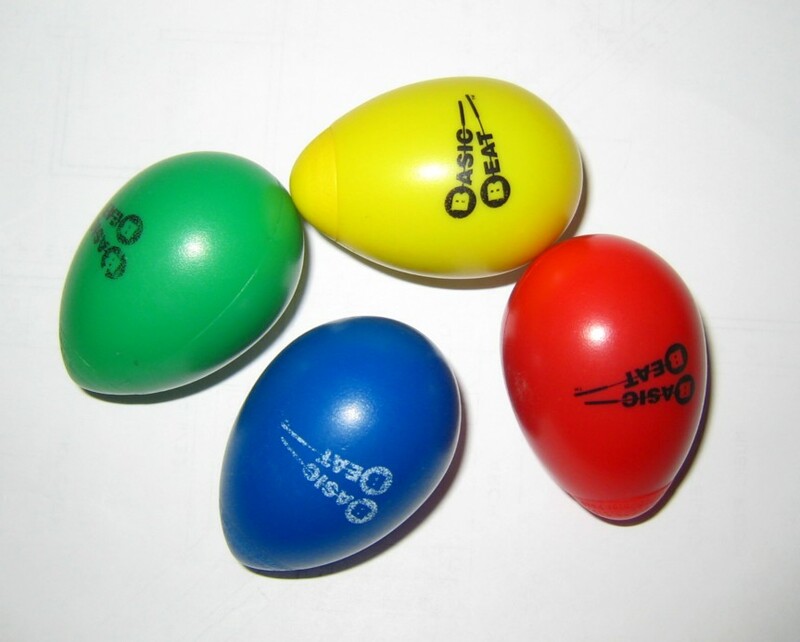 I use a set of egg shakers as the eggs - the more colorful they are, the better! I choose someone to be the "hider" and one to be the "finder". The finder closes his eyes and sings the Easter Egg Song (the leader can assist with the singing) while the hider hides the eggs. I encourage children to finish hiding the eggs by the end of the song, giving the hider a framework of time for completion and let's the finder know when to open his eyes. Once the song is over, the finder then begins to search the room for the eggs. Once found, the children can change roles. This can be played with a small group or with just a leader and student. On the table and under the chair. Yellow, red and green and blue.